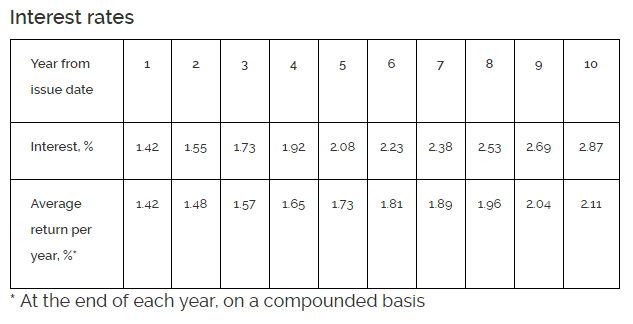 However, if you only hold the SSB bonds for 1 year, with 2 semi-annual payments, your interest rate is 1.42%/yr. $10,000 will grow to $12,140 in 10 years. 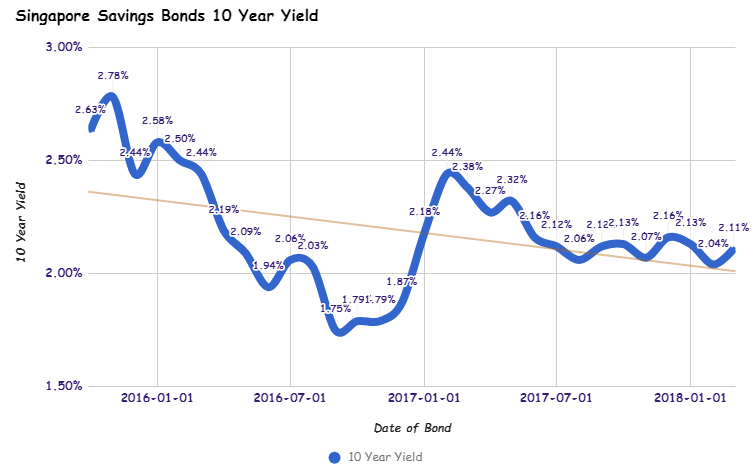 Last month’s bond yields 2.04%/yr for 10 years and 1.55%/yr for 1 year.